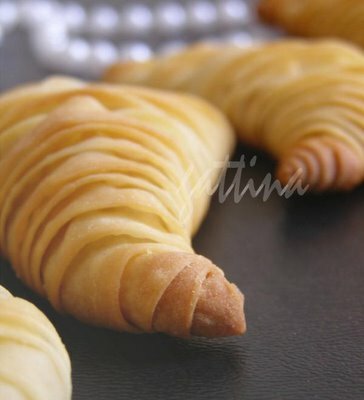 This "lobster tail" pastry (sfogliatella) is easily found in Italian bakeries in my area. 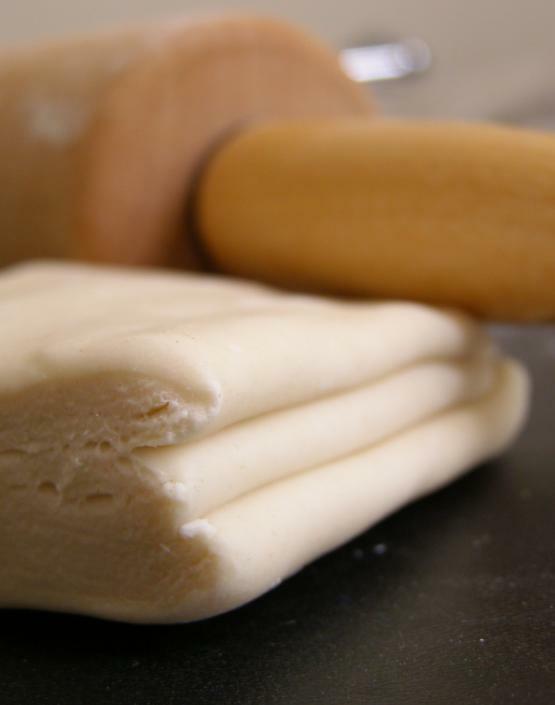 The crust is very flaky and cruchy while the inside sweet and creamy. 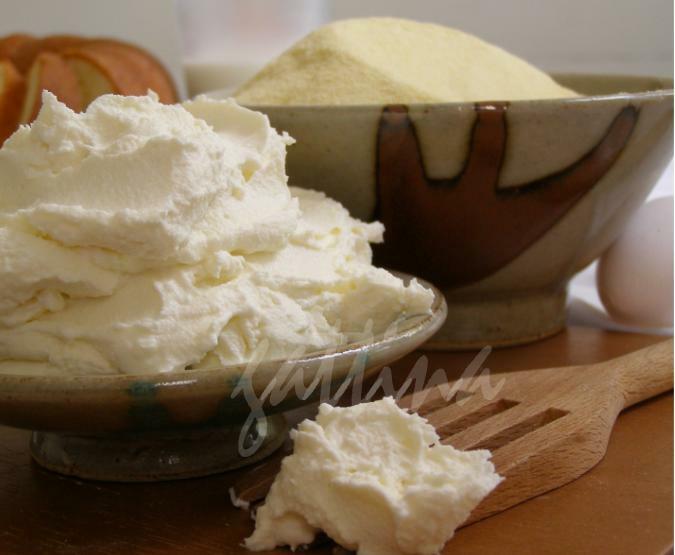 The filling is easy to make... briefly cook the milk with semonlina flour, then add ricotta cheese, an egg and some candied fruit. Making the crust is pretty labor-intensive... first, the dough (flour, water and very little salt) has to be rolled very very thin, so a pasta machine can do a better job. 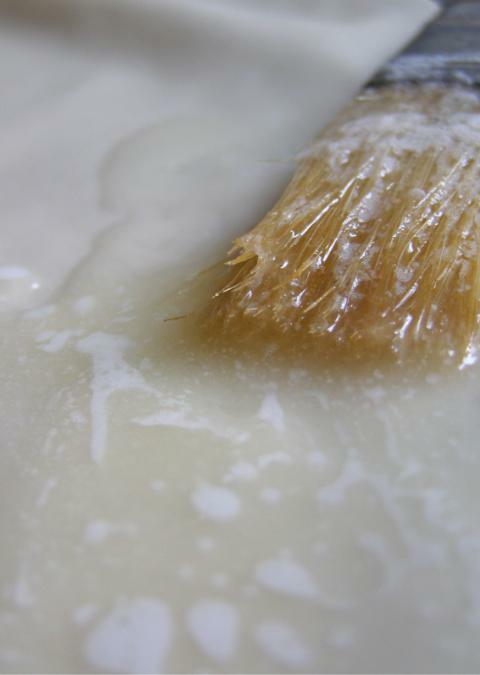 Generously brush melted sweet butter allover on this long sheet dough. 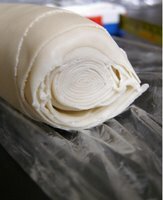 Roll up the sheet like jelly-roll, chill it until very firm. Then cut an 1/2-inch-thick slice, carefully pull the side up and shape it like a cone or lobster tail, fill it up with the ricotta cream before baking. Before serving, warm them up for 15 minutes; or just let them always stay in a very low-heat oven so their crust will be very crunchy. Beautiful pics that you have here! Love it! And this pastry. 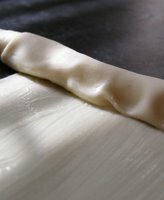 I just made puff pastry yesterday! ;-) This recipe sounds delicious! What a stunningly beautiful set of photos ... and the recipe ... wonderful! wow, these pastries look so yummy, Gattina! these pastries are real beauties! Gattina, what a fantastic job you did. Those "tails" look gorgeous! I'm from Naples (Italy)and love these kinds of delicious pastries. Well: "Lobster Tail" and "Sfogliatella" are NOT the same. "Lobster Tail" comes empty on the market so can be filled with different types of creams (Custard, Chocolate, Milk...), while "Sfogliatella" is always filled with Ricotta cheese and Candied oranges. "Frolla" is similar but not crumbly.